Shah Rukh Khan's Next Film To Be Sanjay Leela Bhansali's Izhaar? We are Digging Malaika Arora's Friday Work-Out Look With a Dash of Neon - See Pics! 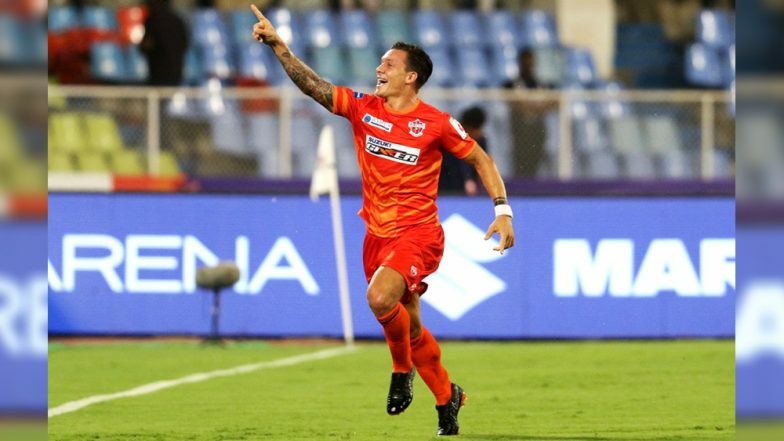 FC Pune City vs FC Goa, ISL 2018-19, Live Streaming Online: How to Get Indian Super League 5 Live Telecast on TV & Free Football Score Updates in Indian Time? After a long interval, FC Goa are in action as they travel to Pune to take on Pune City FC in the Indian Super League. The home team defeated Kerala Blasters in their last game to end a miserable run of losses but Goa presents another formidable challenge. The Gaurs are currently fourth in the points table but have games in hand and will have to make good use of it. Nothing short of three points will make FC Goa happy as they march on. ISL 2018-19 Points Table & Team Standings. The last time PK Reddy, the Pune City coach faced FC Goa, he was routed 4-2 and hence he will be more aware of his side’s composition this time around. The home side have the joint worst defensive record having shipped in 21 goals from 11 games. They face a team that has scored the most goals in the league at 22. So it is going to tough for Pune if they are coming into the game hoping to keep Goa at bay. With players like Robin Singh and Marcelo Periera, they should go attack the visitors from the onset and take the attack to the opposition. FC Pune City vs FC Goa - Live Football Score. Goa have Ferran Corominas in good form and is their most lethal weapon and has scored 8 times so far. He can single headedly destroy Pune with his skills upfront. Players like Lenny Rodrigues and Brandon Fernandes rarely let the game slip away in terms of control from midfield which makes it a tough ask for Pune. The Gaurs have not been their ideal self in the last two games and will look to improve. The game will not be easy for the visitors but given the quality, in the squad, they should come out on top at the final whistle. Indian Super League 2018–19 Schedule in PDF for Free Download: List of Full Football Match Timetable, Date, Venue & Time of ISL 5. When is the Pune City FC vs FC Goa, Hero ISL 2018-19, Football Match? Know Date, Time and Venue Details of the 53rd Indian Super League Game! In the clash of titans in the Indian Super League (ISL), Season 5, it will be FC Pune City taking on FC Goa on their home turf. The contest will take place at the Shree Shiv Chhatrapati Sports Complex Stadium in Pune, on December 11, i.e. Tuesday. The match is scheduled to begin at 7:30 p.m (IST). Where to Watch the Live Telecast of Pune City FC vs FC Goa, Hero ISL 2018–19, Football Match? The official broadcaster of the ongoing ISL Season in India is Star Sports Network. The fans can see Pune City FC vs FC Goa match on Star Sports 1 and Star Sports 1 HD channels. The game can be seen in Hindi commentary too, on Star Sports 3 channel. Where to Watch Free Live Online Streaming of Pune City FC vs FC Goa, Hero ISL 2018-19, Football Match? If the fans to watch Pune City FC vs FC Goa match online, they can watch it through live streaming service provided by Star Sports, i.e. Hotstar. However, they want to catch the live coverage and the latest updates about the ISL match, then they can click here.